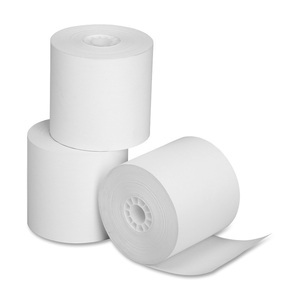 Thermal paper rolls are designed for use with calculators and printing machines. Single-ply paper rolls are made using a Bisphenal-free (BPA) process. Bisphenal A has been linked to adverse health effects on human beings. Paper contains 45 percent pre-consumer recycled material.